Interview with Toy Collector: Juan Luis Salido Bruque! Welcome to my Third interview segment, where a collector answers 13 short questions. The same questions will be given to every collector appearing in this segment. I’m really excited to welcome Spanish Masters of the Universe Collector, Juan Luis Salido Bruque onto the blog. Juan: I’m a monster lover. When I was a child, my mother rent me a lot of horror movies despite the age ranking. This carelessness build the geek that I’m now. Juan: I have been collecting since I was a child. In fact, I have a few figures from the eighties that I preserve. 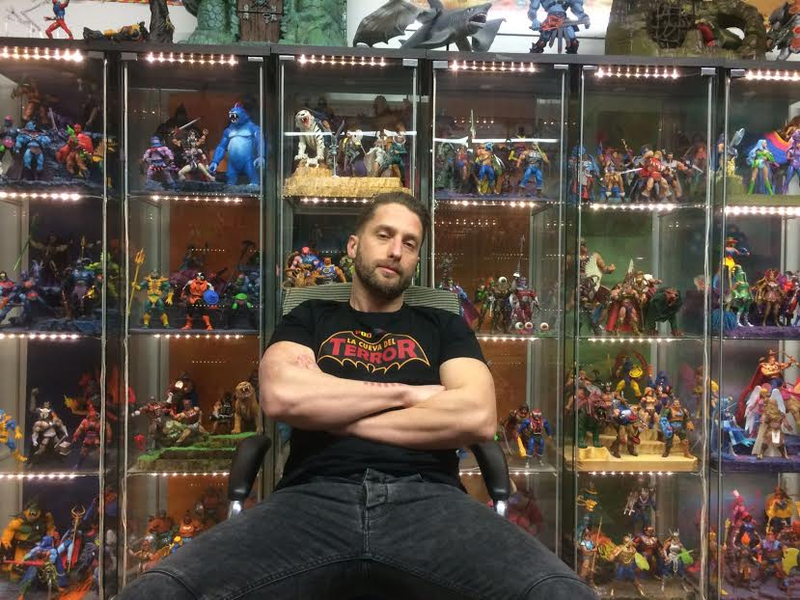 Juan: Actually I collect MOTUC, Thundercats Classics, S. H. Figuarts Kinnikuman and cherry pick Marvel Legends. 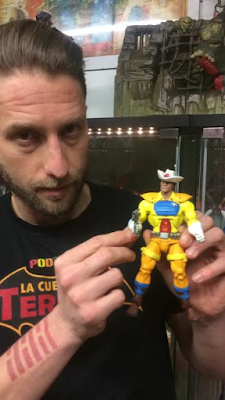 Juan: I think that my favourite piece is a Bravestarr MOTUC custom I made myself last summer. 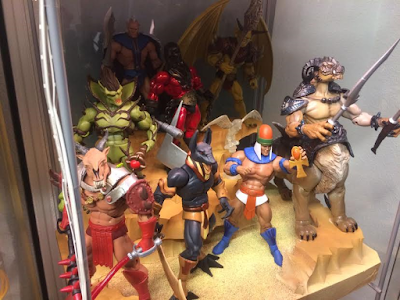 Juan: All MOTUC collectors inspire me. I’m very proud to see that we are a very important crowd. We only need to help each other. Juan: I have a lot of them. But I remember typical problems when you discover broken pieces in MOC figures or cockeyed characters. I hate cockeyed figures. What kind of quality control have the companies?? Juan: It’s easy. The Last Stand. 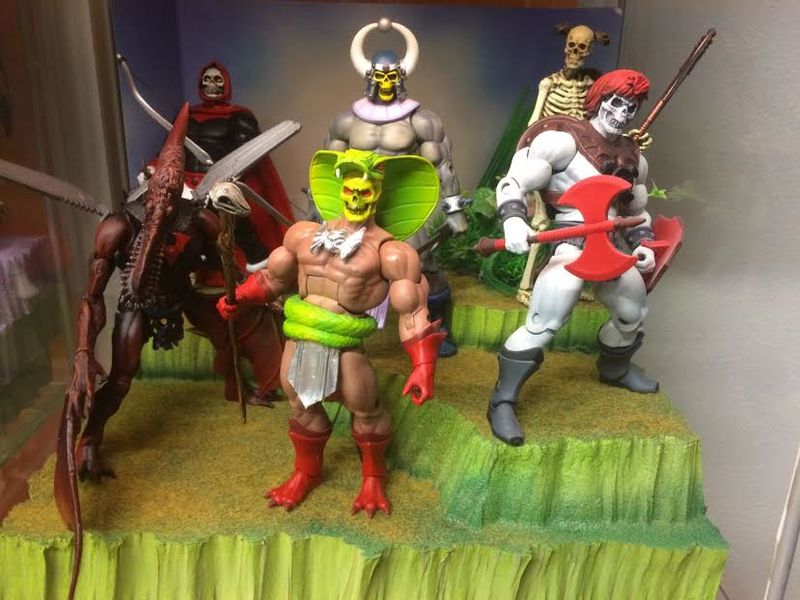 The King Grayskull episode. 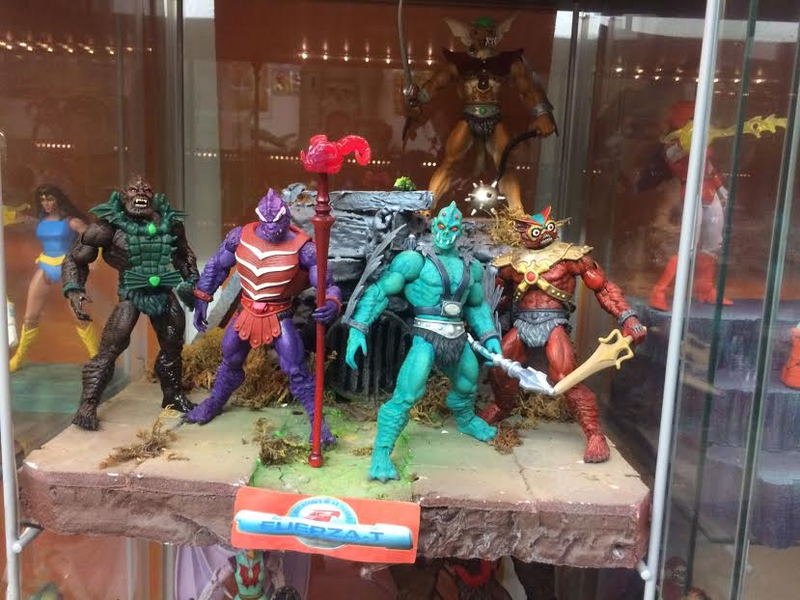 It was great to see the beginning of all the MOTU history. The Battle Lion, Hordak in action. The seconds of life of Calix, like Saurod in the MOTU Cannon film. Juan: Scalpers. They are a cancer. You have to know that international customers have to pay high shipment costs and taxes. 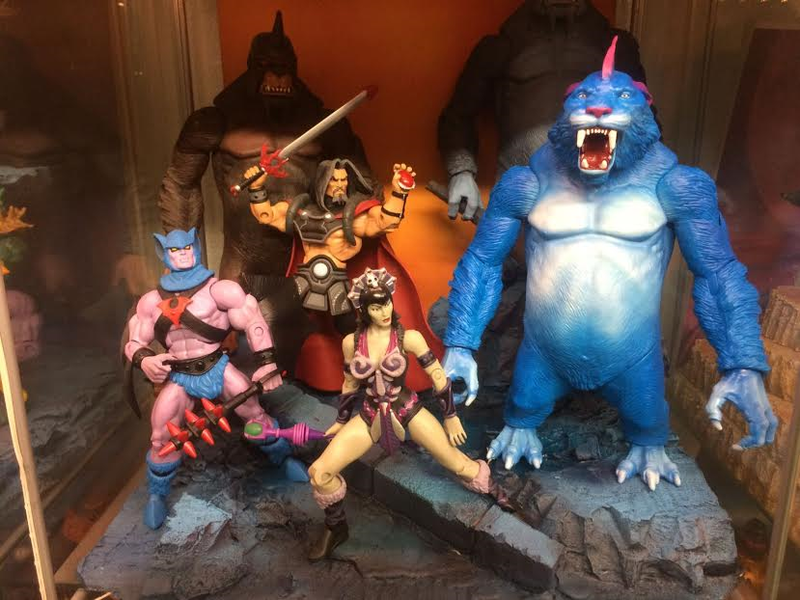 One Mattycollector figure shipped to Spain, for example Clawful was $40 and if we include another figure, I have import risk and need to pay one figure more for taxes. If scalpers devastate the sale day, we have to pay more. 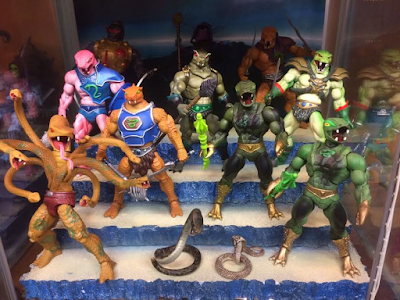 I think that all collectors need to help us. This is what we are doing with La Cueva del Terror movement. 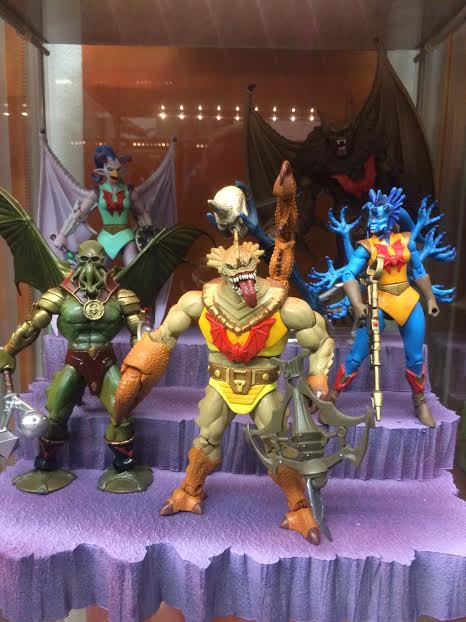 Keep MOTU alive, help all honest collectors and alert scalpers. Juan: La Cueva del Terror Podcast and Customotucs Kemao. But I also like any MOTU forum or page that contribute to keep He-man alive. Juan: I think Man-E-Faces. I need to change my personality with my friends, family or work. 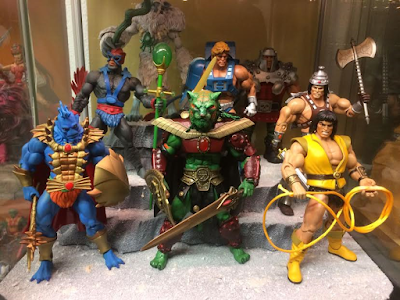 It was my first MOTU figure. I love it. 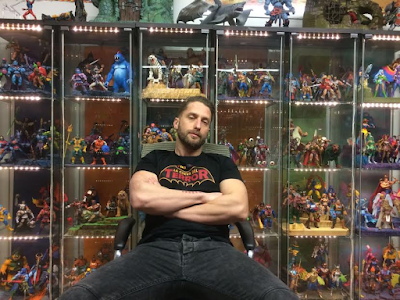 Juan: I’m very transparent about my personality with collectors. I usually talk about my experiences with collecting and try to help them. We have very long social gatherings about it, in our podcast. In Spanish unfortunately. Juan: Comics come to life our favourite characters. I think is necessary to create a history of them. It creates a kind of soul around the character and it’s very important. And I have to say that both hobbies have a common factor, the nostalgia. Juan: I will continue to collect until Super 7 in this case, leave us abandoned. At that point, I will simply continue to create my own characters. MOTU! : Well thank you so much for joining me today Juan. It has been an immense pleasure and I’m sure my readers will enjoy reading your answers as much as I have! Juan: Thank you so much for the interview. I hope everything is good for us this year and that we help each other to increase our collections, without treading on each other. Regards!!! Check out more YouTube Video Clips from the awesome MOTU Collection of Juan Luis Salido Bruque!! Great and awesome figures man. Guess you´re part of the top ten customizers nowadays.